In response to the July 28 subpoena served on California Assemblymember Jim Cooper (D - Elk Grove), the City of Elk Grove has filed a response in Sacramento Superior Court today. The filing seeks to exempt Cooper, a former 14-year Elk Grove City Councilmember from the deposition, and the requested documents. The response was prepared by attorney Mona Ebrahimi of the Sacramento-based law firm of Kronick, Moscovitz, Tiedmann & Girard. Give me a break. "If you have nothing to hide, you hide nothing!" Moreover, the public has a right to know and see everything. What attorney/client privilege? Is City Attorney Jon Hobbs hiding criminal wrongdoing? And why did Hobbs farm out the subpoena to his old law firm Kronick Moskovitz? One of the reasons the Elk Grove City Council gave for hiring Hobbs was so the city didn't have to farm out legal matters, saving taxpayers money. Or are all the lawsuits against the city too overwhelming for the city attorney? Begs the questions: Is the city trying to hide Brown Act Violations, secret negotiations, and grease my palm deals? Is Hume involved privately but publicly recusing himself? Collusion? Fraud? Perjury on the horizon? 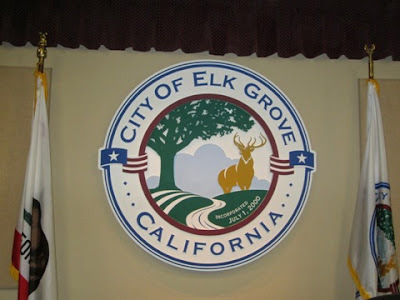 It is no secret there are loose lips on the Elk Grove City Council. The plaintiff’s attorney should subpoena the city council’s text messages. So, who is the Paul Manafort, General Michael Kelly and Donald Trump, Jr. aka “The Idiot” on the Elk Grove City Council? Could this case finally reveal the dirt pile under the rug on the dais? There must be something missing in this story. In a Public Records Act request there is no need to demonstrate materiality, nor must they be likely to lead to the discovery of 'admissible' documents or fact. They just have to be a record held by the public agency that is not covered by one of the few specific exemptions. And even then, the documents may be releasable after redaction of the information that is exempt. Additionally, if the City is claiming attorney / client privilege, then a privilege log must be created with a little more specificity as to the document and the privilege. That privilege log is releasable under a subsequent PRA request (once it has been created). There is something missing in the story, or there is something fishy at the City government.?!? !